Medium: original etching. 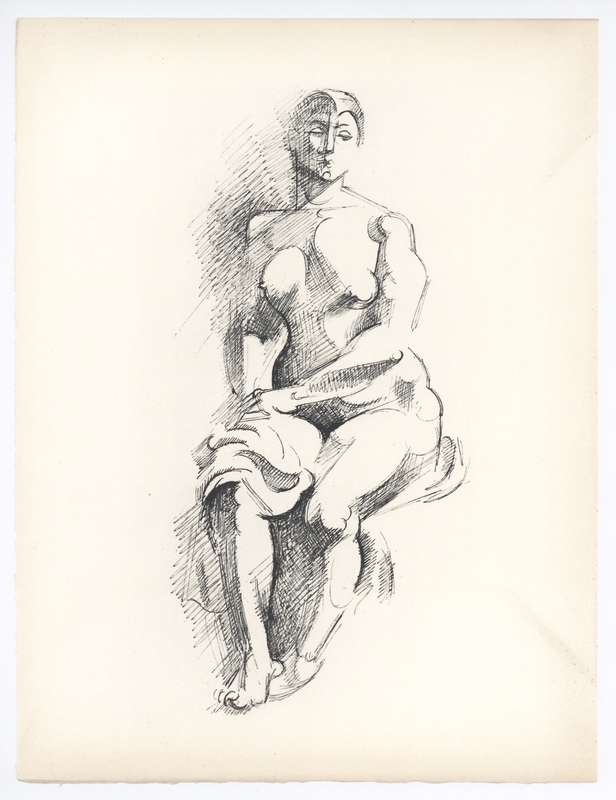 This impression is from the edition of 200 on Marais cream wove paper, printed for the rare "Eloge de Andre Lhote" by Guy Dornand, published in 1960 by Manuel Bruker. The image size is 10 1/2 x 5 inches (270 x 130 mm) and the sheet measures 12 1/2 x 10 inches. Not signed. Condition: there is age-toning and discoloration to the paper, mostly to the margin on the right side.